The fight against climate change is a fight for life. Reproductive rights aside, we are all pro-life in the sense that we want the healthy, vibrant continuation of life on Earth. 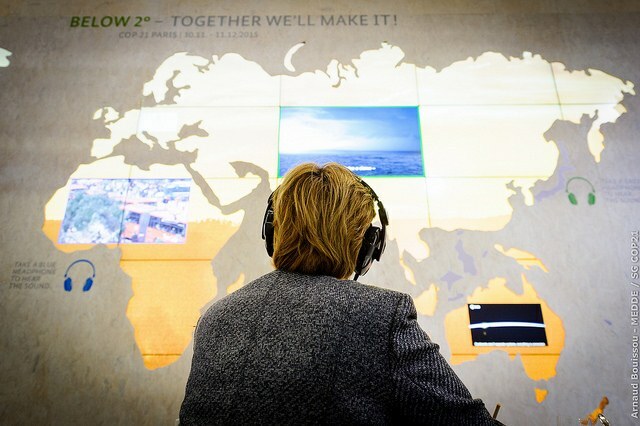 Yet a large swath of the American public still feels disconnected from the historic climate change commitments made a month ago in Paris. And political obstacles abound, with all of the U.S. Republican presidential candidates vowing to repeal the climate commitments made by President Barack Obama. Refocusing the climate change conversation on life as the reason we’re fighting will serve to bridge the political divides that have impeded our progress, broaden the community of people who care about climate change, and mobilize a new group of climate change warriors: mothers. Mothers are the embodiment of life. We provide sustenance for our young just as the Earth sustains life in all forms. This life-giving power cuts across political, geographic and socioeconomic lines. To mobilize mothers is to tap into a group of people that, wherever we live and whatever we believe, have life-giving and life-sustaining in our DNA. There is enormous bipartisan potential to be unlocked in the reframing of climate change as a maternal issue. Since the beginning of time, mothers have looked into the eyes of their children with infinite hope for the future. But today, looking into the eyes of one’s child is also a call to action. Because we now know that in order to prevent catastrophic, human-caused climate change, we must act. The world we want for future generations is possible only with major effort on our parts, including taking individual and collective action and holding our governments and businesses accountable. We now know that we must fight for the future we want for our children. This idea is second nature for most mothers, who inherently possess a fierce instinct to fight for our young. In the words of Ceres Executive Director Mindy Lubber, “I would throw myself in front of a bus if it were coming at [my daughters]. We all need to throw ourselves in front of this bus called climate change.” These protective instincts are crucial for the climate change fight. The battle will be long, and affirmations to continue the fight will need to be made day after day. The actions we will need to take to exceed the commitments made in Paris may not always be easy or logical, so relying on scientific evidence alone to motivate us will fall short. The movement needs the emotional, instinctive leadership abilities inherent to many mothers to sustain it, to remind us of what we’re fighting for when the obstacles seem insurmountable. Logic may not tell us to jump in front of a bus, but maternal instinct will. At every level, mothers are taking this inspiration they find in their children and using it as fuel for their work. Christiana Figueres, the United Nations' climate chief who was instrumental in reaching an international agreement in Paris, has said that her deep passion for climate change work did not fully develop until her two daughters were born. Marshallese poet and climate change activist Kathy Jetnil-Kijiner wrote a poem to her young daughter that brought world leaders to their feet at the 2014 Climate Summit. She also co-founded a nonprofit organization to educate youth on environmental issues. In Bangladesh, Rajena Boiragi supports women to start their own small businesses, enabling their families to be more resilient to climate change impacts. In Massachusetts and New York, hundreds of mothers are mobilizing their communities through Mothers Out Front, an organization that mobilizes mothers and grandmothers for a clean energy future. And, through the work of the Environmental Working Group (EWG), mothers are increasingly making healthier buying decisions for their households and the planet. To acknowledge climate change as a human life issue, regardless of religious or political affiliation, is to bridge political divides and broaden the base of people who will act. “Pro-Lifers“ would be proud to fiercely support the climate change fight as it seeks to protect life on the grandest scale. And to value the instincts and leadership abilities of mothers is to inject the movement with a new and lasting vigor that will sustain the fight from generation to generation. Life is the reason we’re fighting. If we remind ourselves of this, there is little that we won’t do to ensure its vibrant continuation. Jamie Beck Alexander is a CSR and sustainable development consultant with clients including the U.S. Agency for International Development (USAID) and the design firm IDEO. Her work has focused on bringing a human-centered design perspective to international development and climate change resilience projects. Her son and the inspiration for this piece, Akiva Sagan Alexander, was born in June 2015.